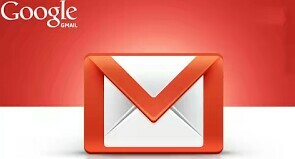 Google just introduced a new feature on their mailing system which is popularly known as Gmail. The update is all about streaming video attachment on Gmail without the need of downloading it first. It is clear that since Google updated their Gmail app to start supporting file attachments up to 50MB, more features has been rolling out for users. You can't afford to miss this; Check out latest Google update that Entails Parents Monitoring their children’s mobile phone usage With An App Called Family Link. The feature as announced by Google, will be put to place for public use in the next 15 days. So users with Gmail account are expected to use the feature when it is available. As the update may have it, this video streaming attachment will go a long way to make the web based client from Google, more useful to fans. So when this become available to the public, users are expected to login or sign in with their Gmail account in order to access this feature that entails watching video without the need of downloading it first online. Once this Google update becomes available, the video attachments will display a thumbnail exactly from the clip. So all you need to do at that moment, is to double click on the video and immediately or within seconds, the content will start displaying or streaming, this is just exactly like that of YouTube video streaming online. You can adjust the playback speed, also videos are delivered by default at optimal quality. Have you in anyway double-click on Google Drive video file, and see how it handles videos? That’s exactly what happens in this new update. So finally, the newly updated feature was programmed to function just like streaming on YouTube and well, Google Drive.